Satellite a half. 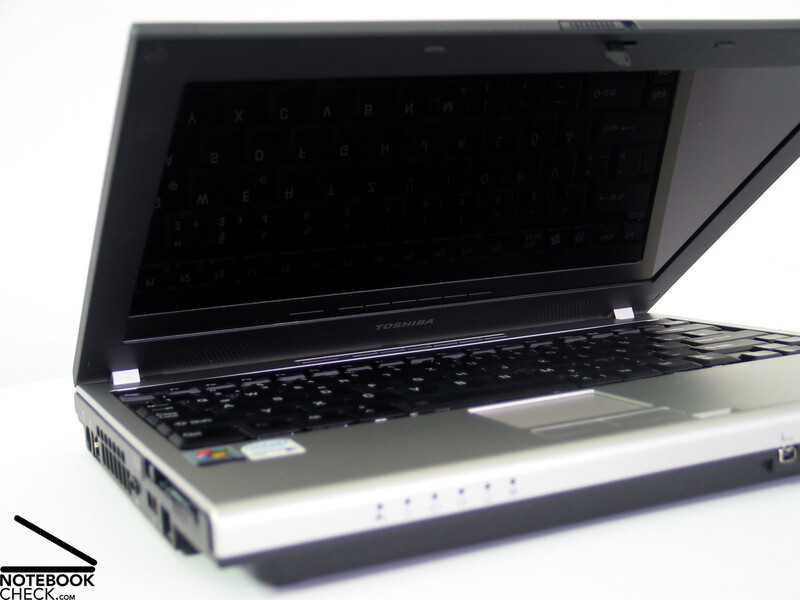 The Satellite U200 is a high-quality and beautiful 12.1 inch subnotebook, which is willing to accompany its user everywhere and convinces through robustness (magnesium case) and its very low weight of only 1.9kg . 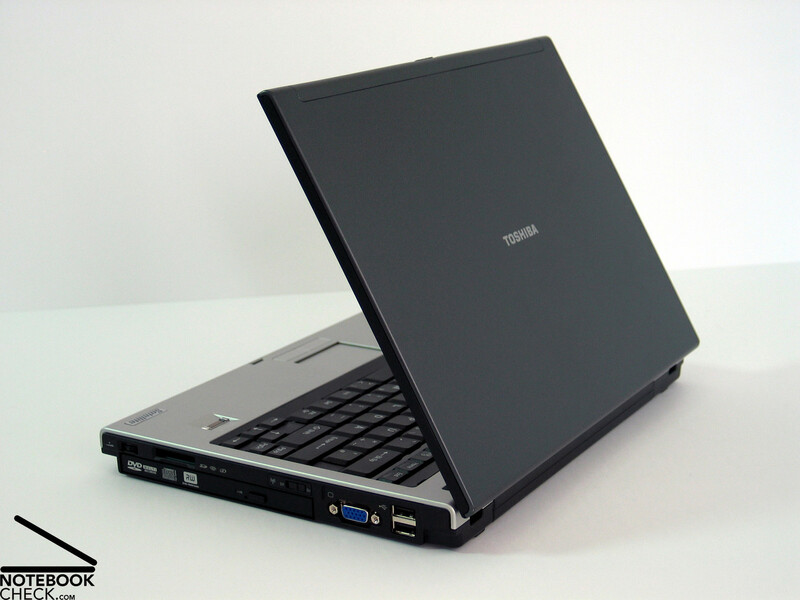 In oder to increase the data security the notebook is equipped with a shock save hard disk and a fingerprint reader. The Toshiba U200's case seems to be robust and compact. This is because of the simple, nearly brawny design of the case. Despite of the simple and linear forms there are nowhere sharp edges which could have a negative impact on the user-friendly handling. The chosen colors make the notebook look elegant and high-class. 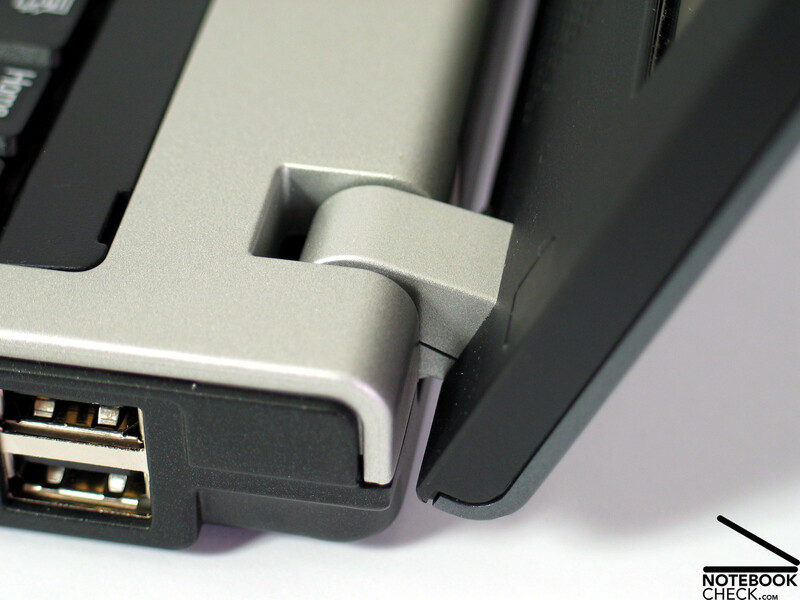 The anthracite color of the magnesium trough is covered by a silver plastic part which surrounds the keyboard in one part. The color of the display's inner side is nearly the same than those of the base unit. At the out side the display is protected by a steel-gray magnesium part. The chosen colors seem to fit together well and also the quality of the material is alright. 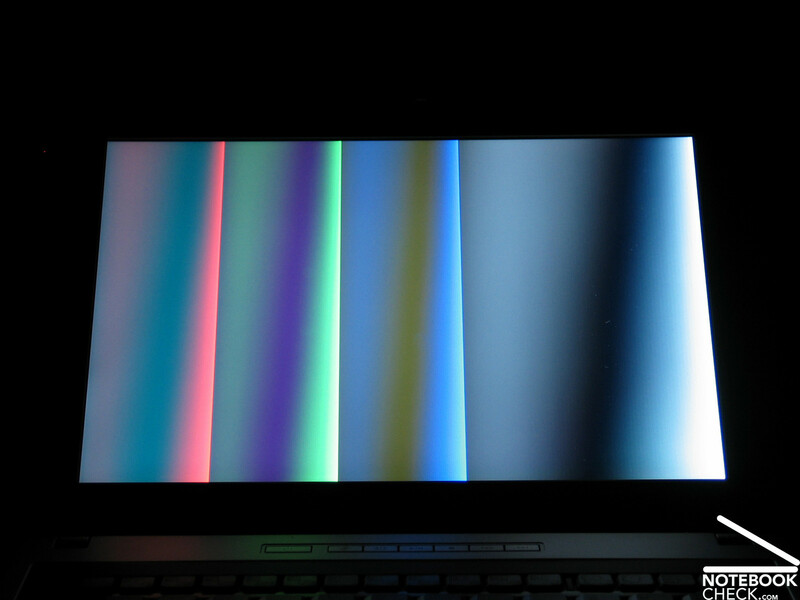 The heavily perforated bottom side can be partly slightly pushed in (especially near the optical drive), however, the flexural rigidity of the base unit as well as of the display convinced us. Although the use of magnesium components is gratifying, one needs to consider that magnesium parts are only surface coated, and therefore the paintwork might outwear after a while. On the contrary, plastic parts are homogeneously colored. The hinges are like those of some other models reversely attached. This requires a back side without any ports. Still, the battery is placed at the back side and can therefore only be taken out, if the display is closed. Both hinges seem to be robust and feel wonderful when adjusting the display's postion - their resistance seems to be nearly perfect. There isn't any wobbling or see-saw and there aren't any noises, when moving the display. Furthermore, the U200 has a central transport hook, which keeps the display securely locked without allowing it to wobble. Besides, we only detected a bellied bulge at the cover of the hard disk at the notebook's bottom side. 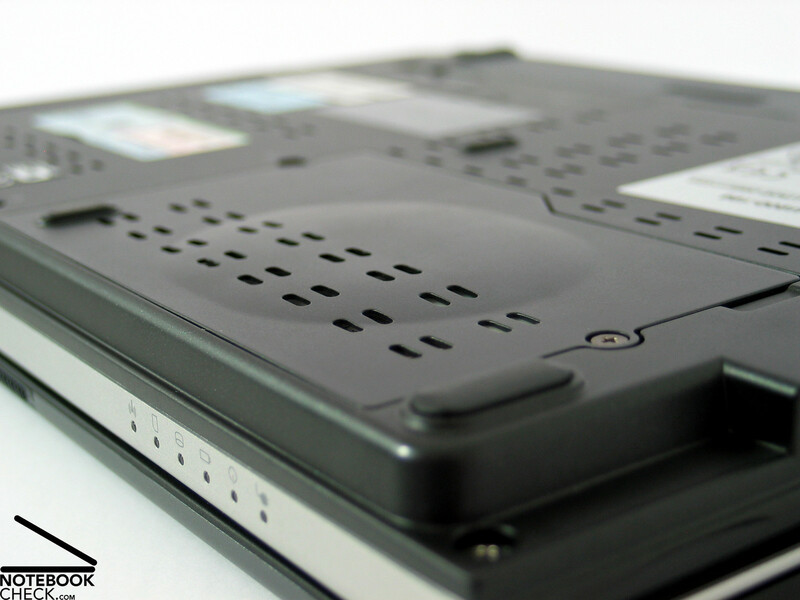 This protective part which is called HDD Dome by Toshiba distributes forces acting on it to the edges of the cover and avoids damages of the hard disk in this way. Furthermore, the hard disk has a three-dimensional shock protection. 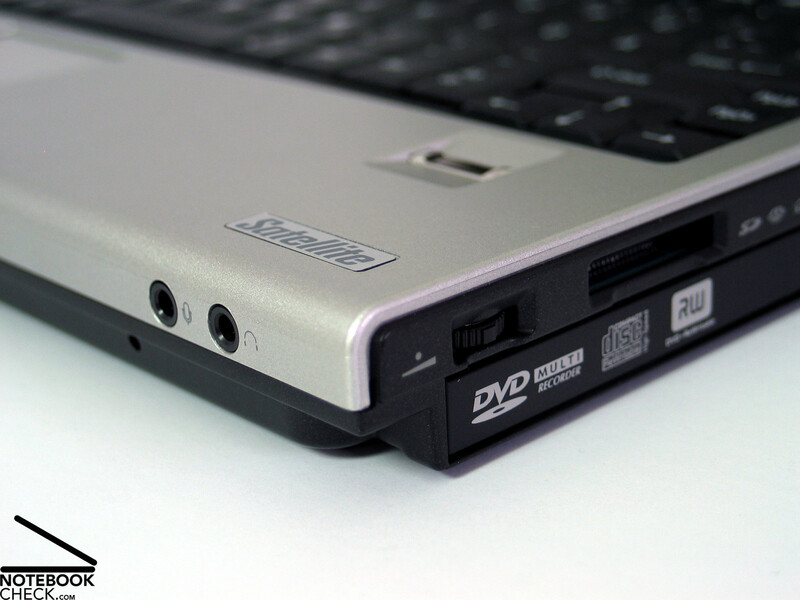 The write-read head is moved off the medium in order to prevent data loss at too heavy shocks. 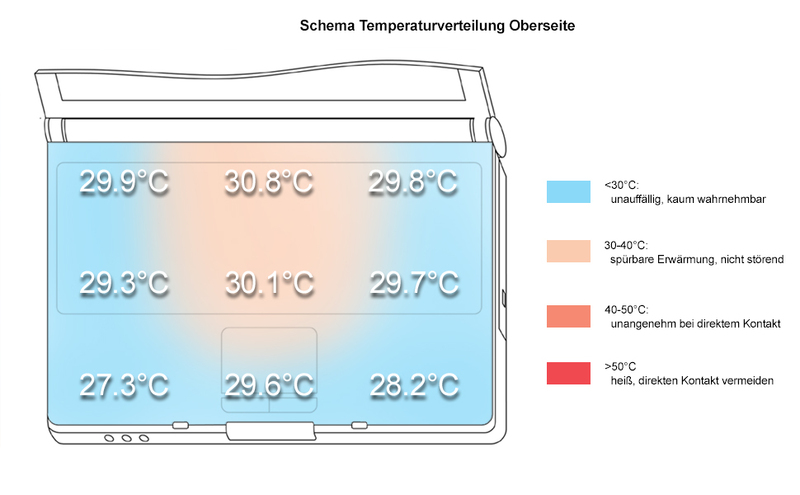 Most of the interfaces are placed at the left and the right side of the case. At the front side there are only the Firewire port and both audio ports (headset, microphone). 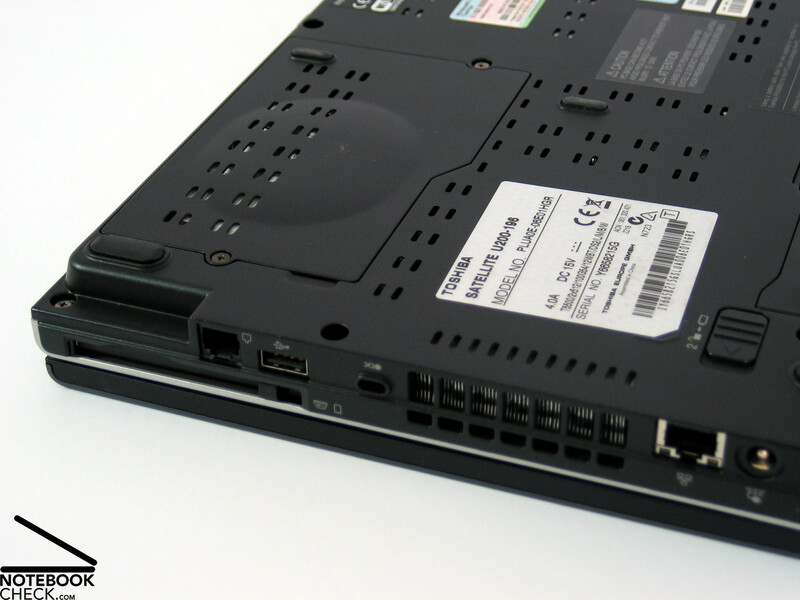 Despite the place for interfaces is limited to the left and the right side, Toshiba has tried to place ports which are likely to be used permanently near the back. 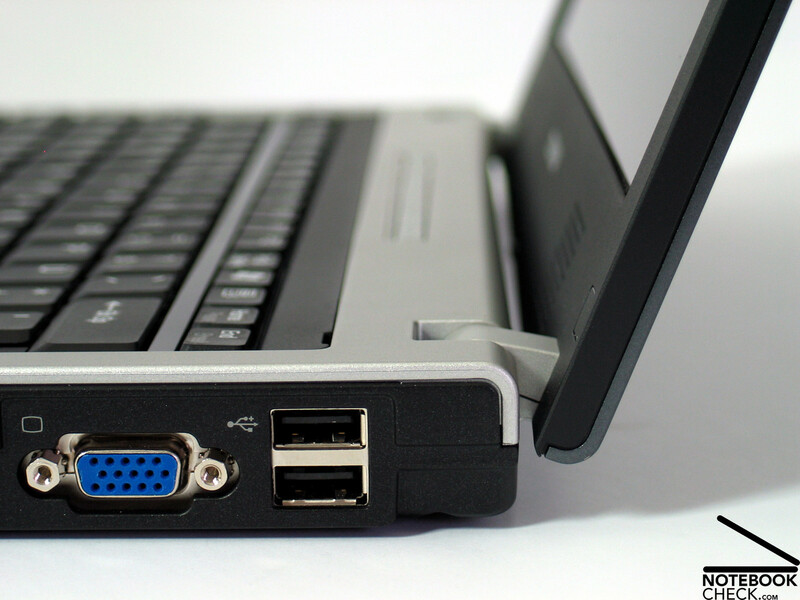 E.g., the power connector, LAN, 2xUSB as well as the VGA port are near the back on either the left or right side. 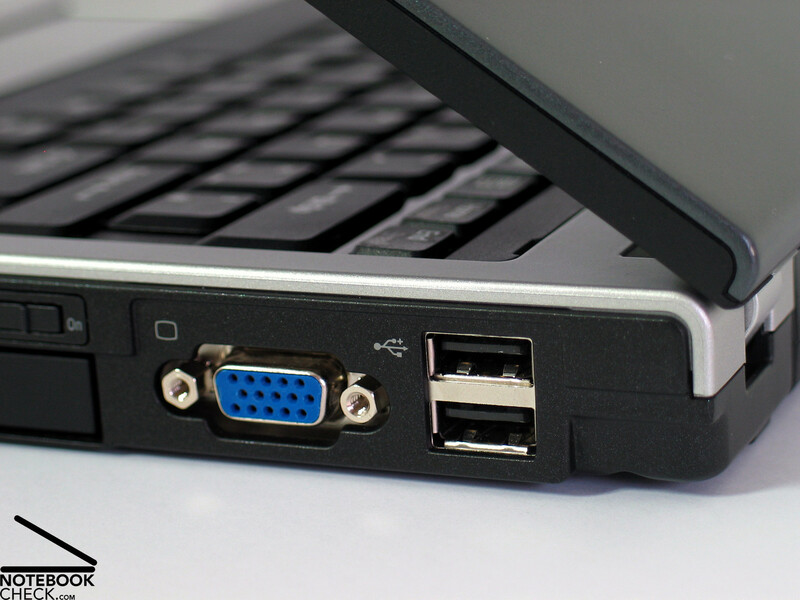 Only the audio ports could be misplaced, if one wants to connect the notebook to an external sound system. Besides the Satellite U200's small size, the keyboard seems extensive. The reason is that it is structured by a digit and a cursor block which are separated a little bit from the other keys. The digit keys have standard size. However, the enter key is rather narrow (only extended over one row), likewise also the space bar is rather small. During typing one can feel a jerky pressure point and a possible deflection of the keyboard unit gets apparent. This does not cause bigger problems during use, however, the high-quality appearance diminishes. 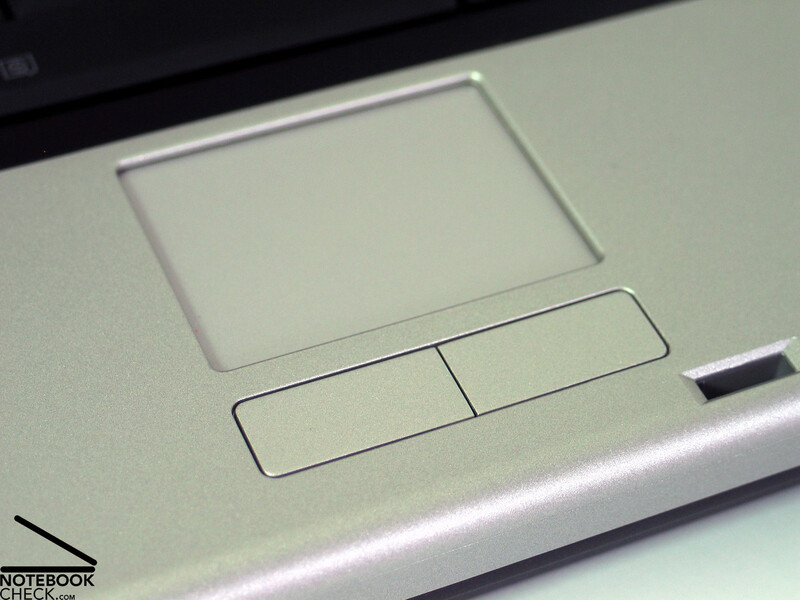 Additionally, the U200 comes with a central touch pad, which sticks out because of its tiny size. This mouse replacement is just about 5x3.7cm in size. Furthermore, it is rather deep in the case (about 2mm) and therefore, one hits against the edges again and again. 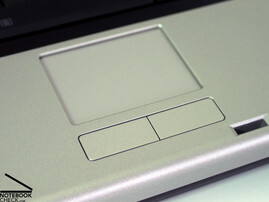 Both touch pad buttons are relatively small too, but are easy to use once you are able to hit them. 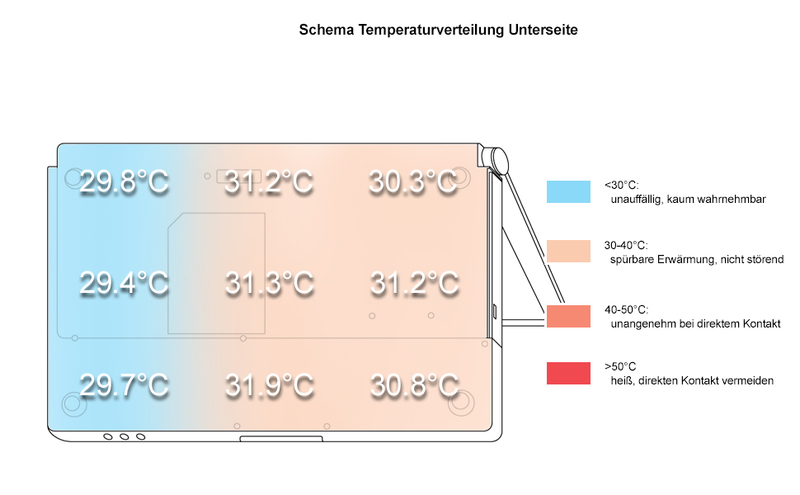 Besides the anomalies mentioned above, the touch pad is relatively easy to use, works precisely and reacts well. 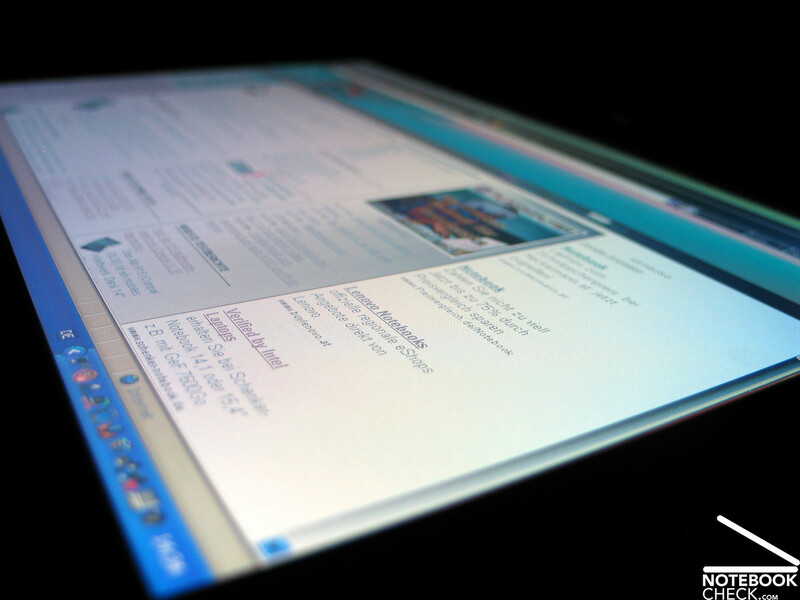 Despite its small size, it has a horizontal and a vertical scroll function at the region near the bottom and right edge. The U200 comes with an extra, a fingerprint reader, which is placed in the region of the right hand ball. 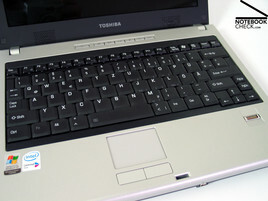 Above the keyboard there is a molding which contains some additional keys for controlling the media player. 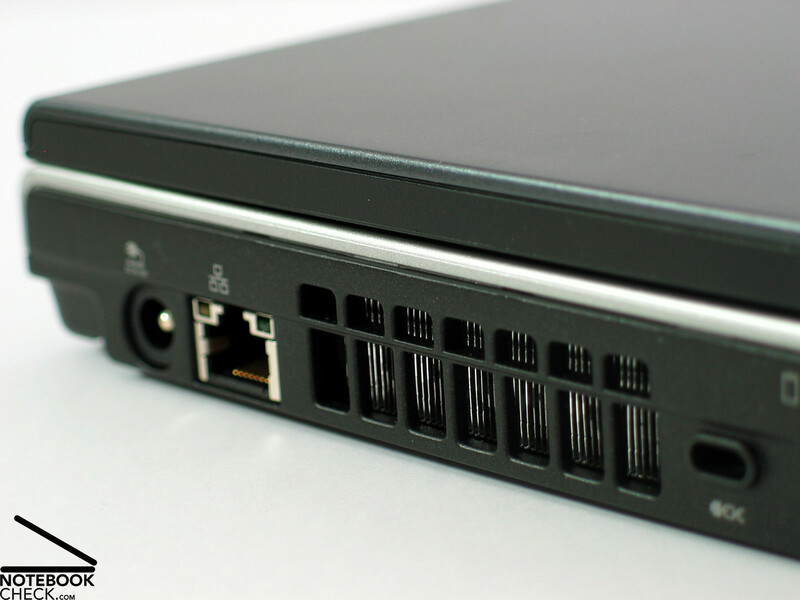 At the right side of the case there are additionally a volume control and a WLan switch. 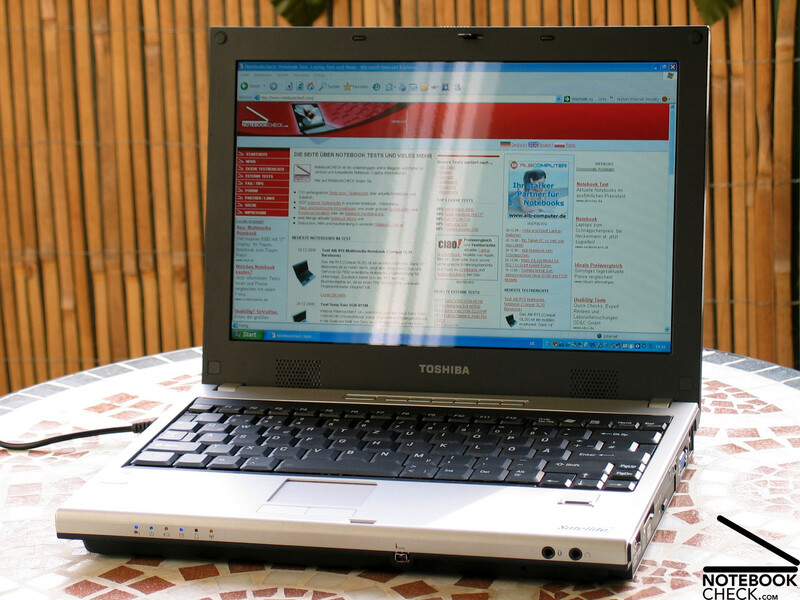 The Toshiba Satellite U200-196 has a reflecting 1280x800 pixels 12.1 inch WXGA display in format 16:10. 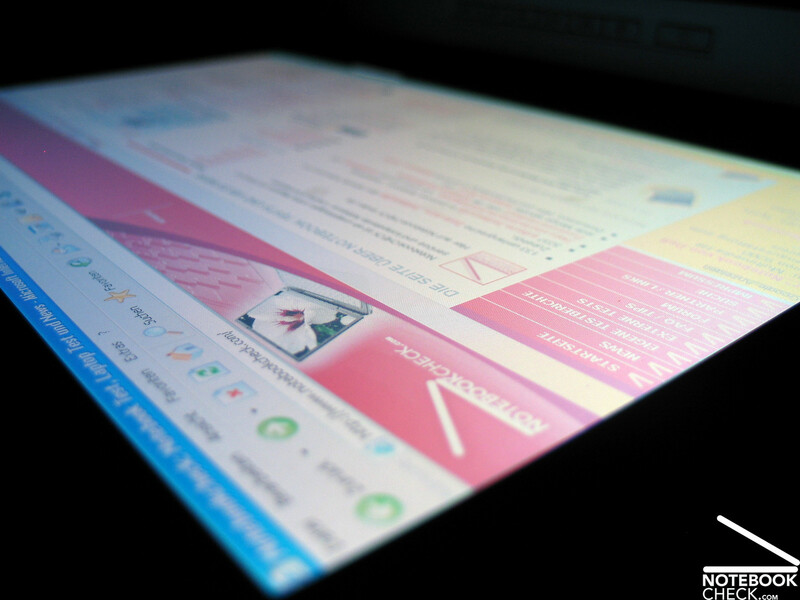 Measurements prove the display's subjective brightness: maximum 186.7cd/m² in the center of the display. The illumination is also relatively good at 80.8%. The color diagram uncovers the usual deviation of the blue color curve, i.e. 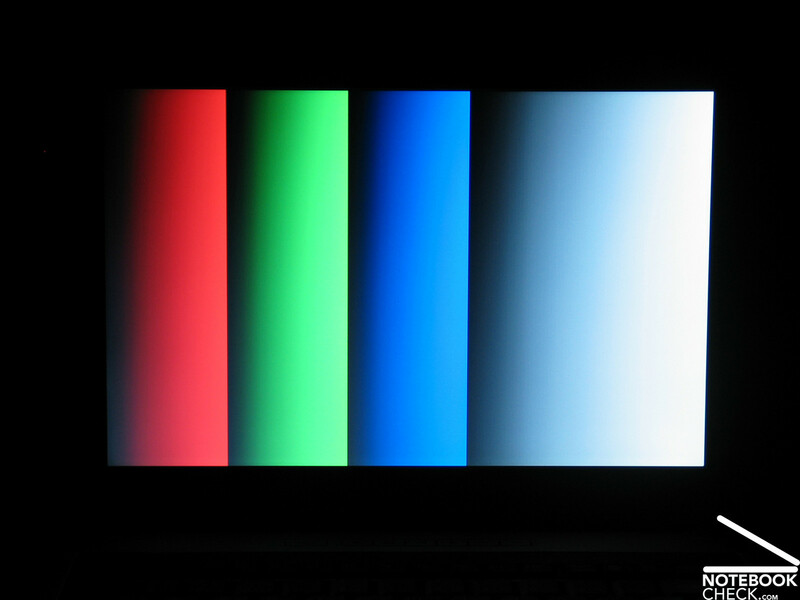 reduced blue colors and therefore, an excess of red colors which leads to warmer colors. 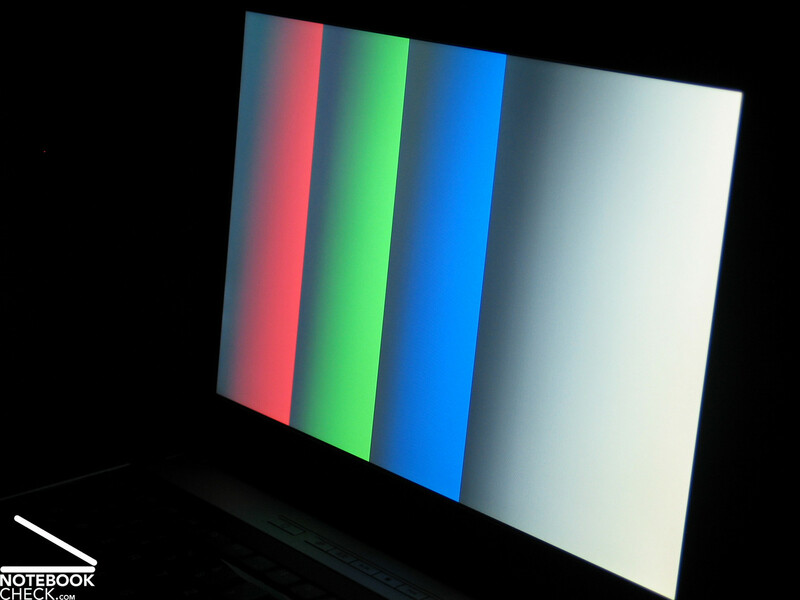 A black value of 1.5cd/m², this is the minimum brightness of the display, is relatively high. Therefore, the contrast ration is only 124:1. The notebook reached grade 6 of the Pixperan test of legibility, which is an average result regarding its speed of reaction. The reflecting display is only of limited use outdoors. On the one hand it is bright enough to keep the contents legible, however, working outdoors is not really joyful, because of the reflecting surface. The stability to the vantage point, especially vertically, does not belong to the U200's strengths. 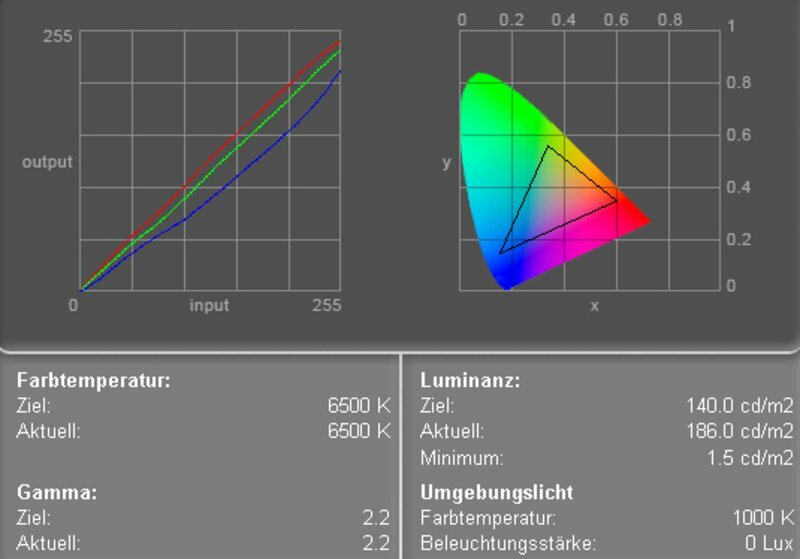 Even a slightly acuter angle lets the display appear brighter or darker and at the end one can observe the negative pattern. On the contrary, the horizontal area of operation is sufficient. 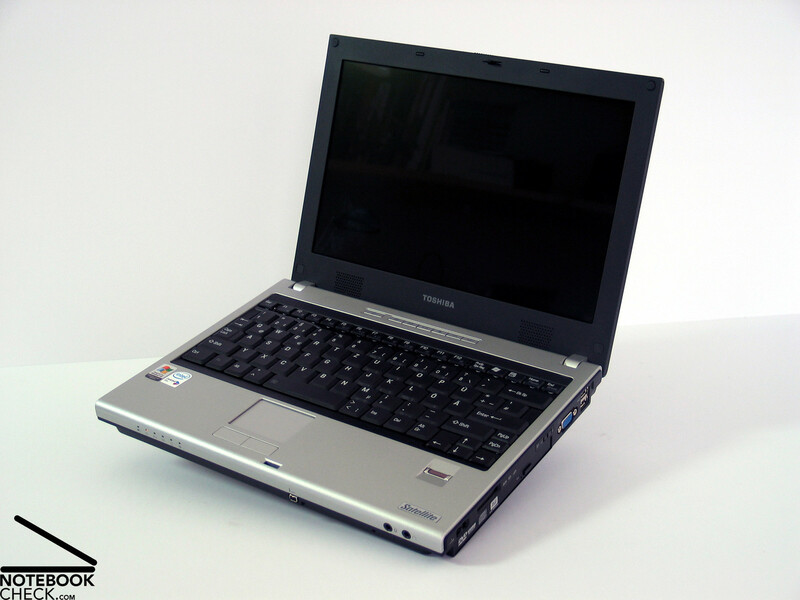 In respect that it is a subnotebook the Satellite U200 is sufficiently equipped with a Core 2 Duo T5500 and an Intel GMA 950 video chip. Daily application like Internet, office, DVD play back should even be in future no problem. The main board helps guarantee the future, as it can cover up to 4GB and is therefore, likely to be also capable of working under memory demanding circumstances (Vista). However, it is hardly appropriate for playing games. 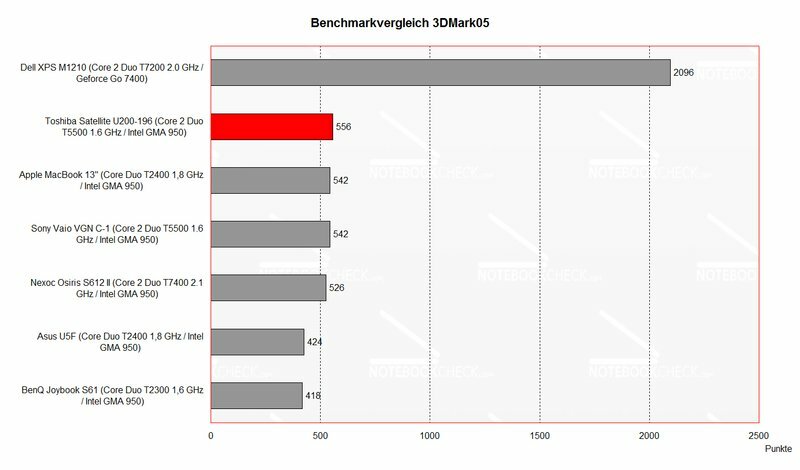 The integrated GMA 950 video chip of Intel is alright for older games without or with low 3D demands, however, current graphically demanding games will cause problems. 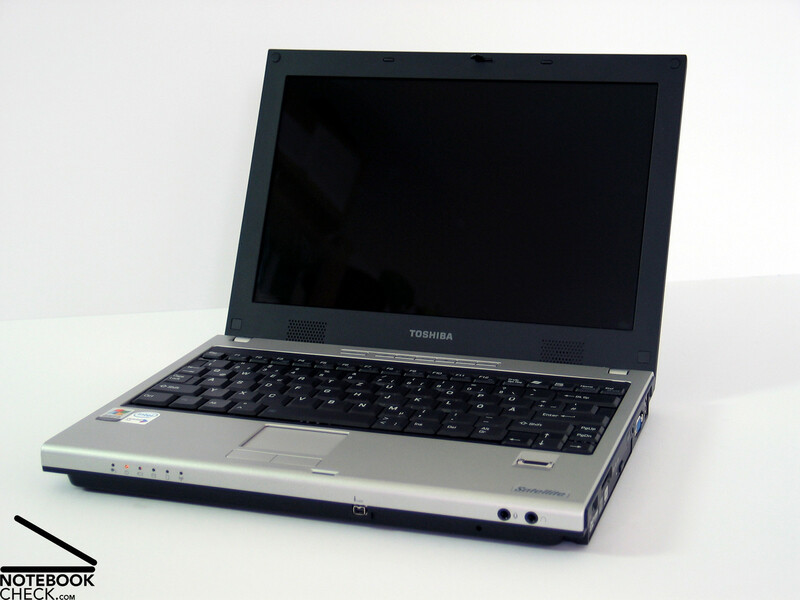 The U200's 100GB Toshiba hard disk is average regarding transfer rate and access time. 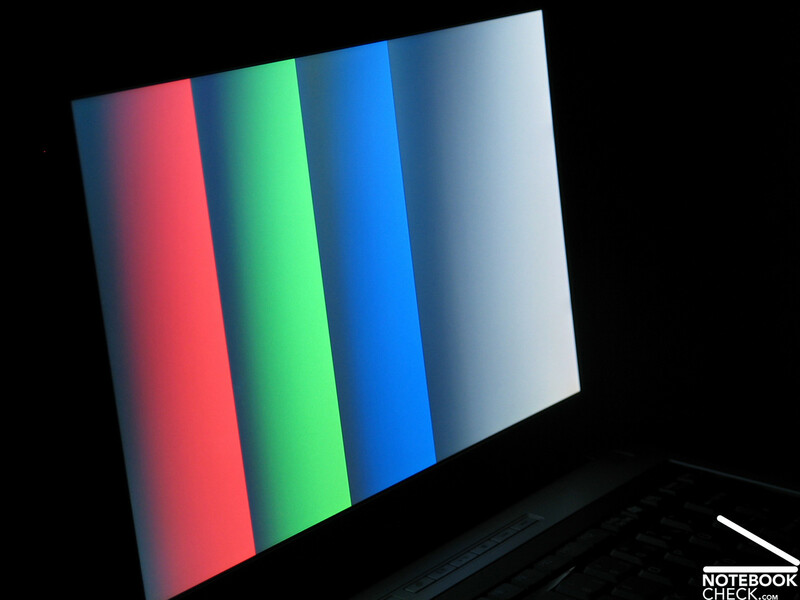 The fan stays deactivated in idle mode, but also e.g., during Internet surfing it stays at least very quiet. The only thing which can be heard is the hard disk, which noise is about 34.6dB in idle mode. Still, we would call the notebook relatively quiet. 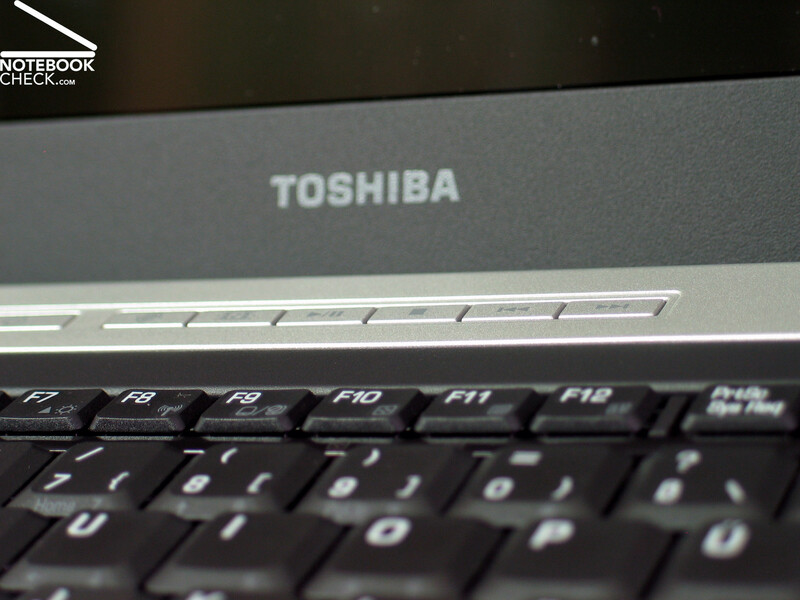 If one uses the Toshiba Power Saver Software and selects "full performance" (so far: "power optimized"), the fan is turned on immediately and runs without stop at a noise level of 39.1dB. The measured maximum noise is 46,2dB. The DVD playback works especially quiet. 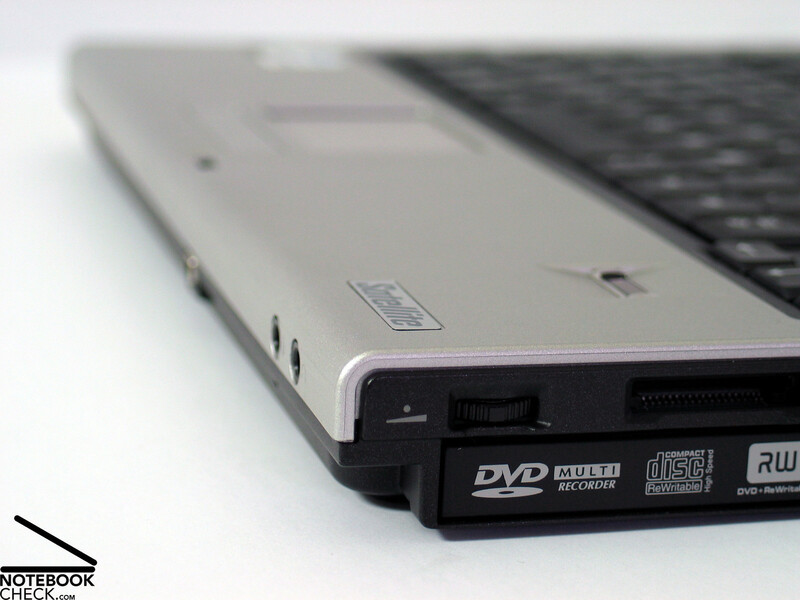 Only 36,9dB were caused by the notebook during DVD playback. Regarding surface temperatures the Satellite U200 is excellent. Neither on the bottom side nor at the front side the temperature increase is too high. The measured maximum temperature of 31,9°C can be nearly neglected. The heavy perforated magnesium case and the good aeration concept are responsible for this good result. Harman/Kardon speakers, would have been nice. However, it comes with standard speakers with tinny sound an without bass. 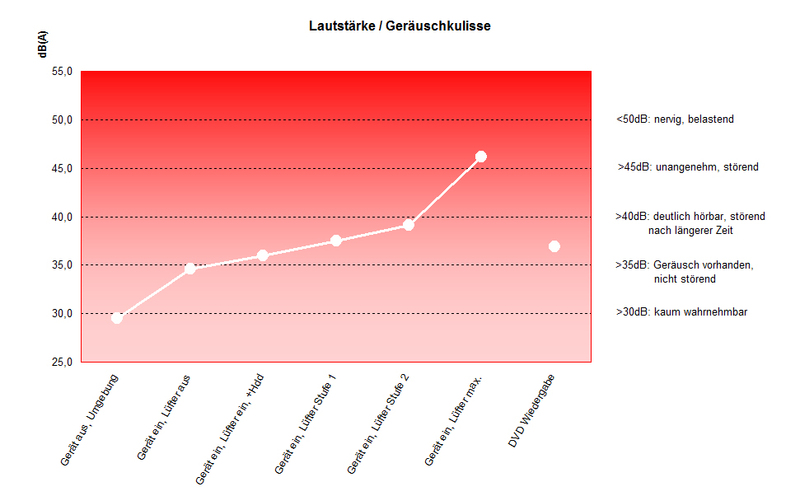 The test of battery runtime measured a good runtime. It is between a minimum of nearly 2 hours under load to above about 3 hours during WLan surfing to up to a maximum of 4.5 hours at minimum energy demand. 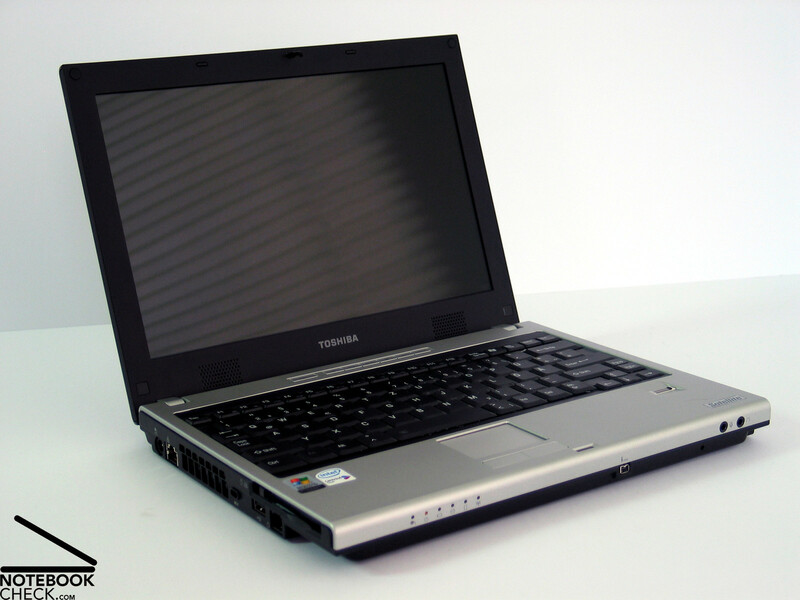 The Toshiba Satellite U200-196 does not only please the eyes, it also convinces through the use of high-quality material and good workmanship. Its robustness allows much mobility. Only two aspects can be criticized: First of all the keyboard, which can deflect during typing and therefore typing does not feel too good, and the notebook's display. 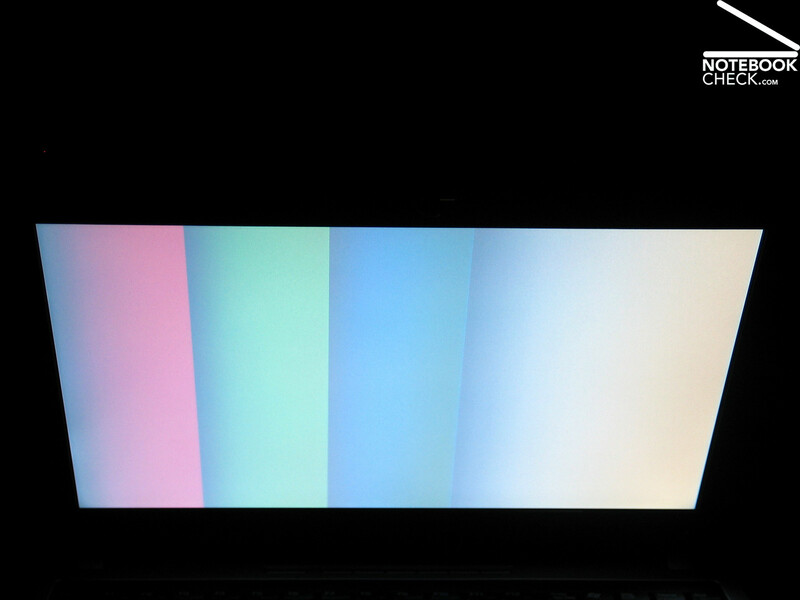 On the one hand the display has good results regarding brightness and illumination. However, the moderate result for the maximum contrast ratio and the very narrow vertical area of operation are unsatisfying. 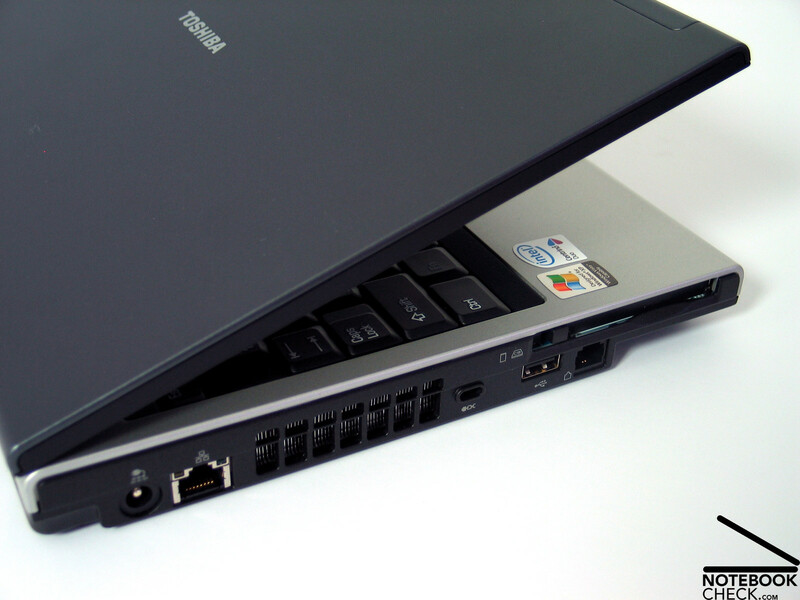 Performance should not be superficial for a subnotebook anyway, the Toshiba Satellite U200-196 sticks to this too. 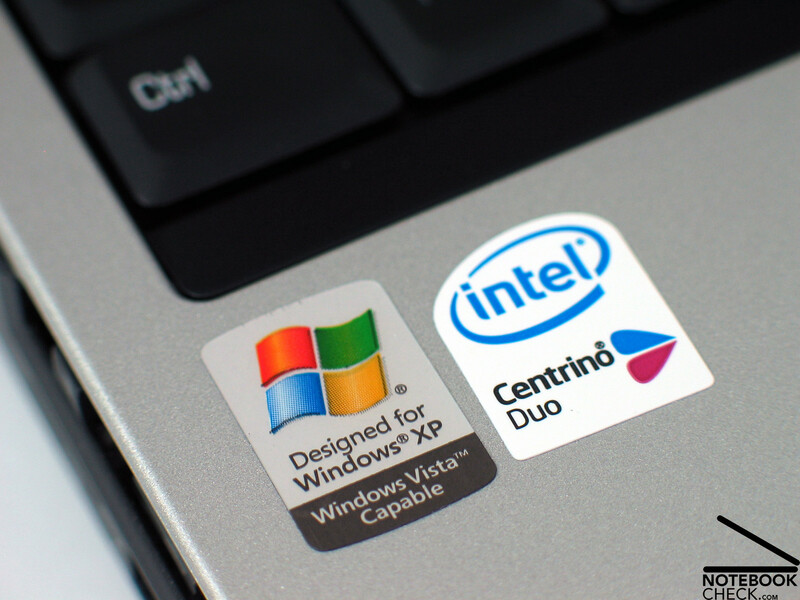 Still the calculation power of it is, thanks to an Intel Core 2 Duo CPU, sufficient for easily working with everyday applications. A special strength of the notebook are its low emissions. 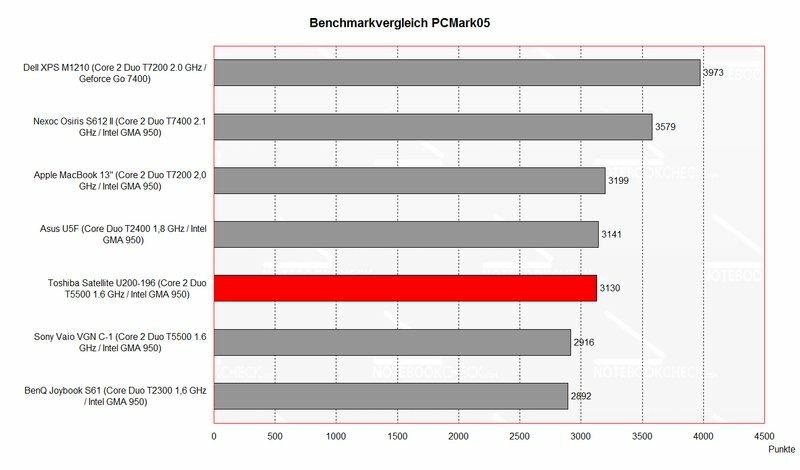 In idle mode one can only hear the quiet droning of the hard disk and no anomalies can be detected regarding the fan with nearly no load and with a proper energy profile. Even the U200's surface temperatures are alright. 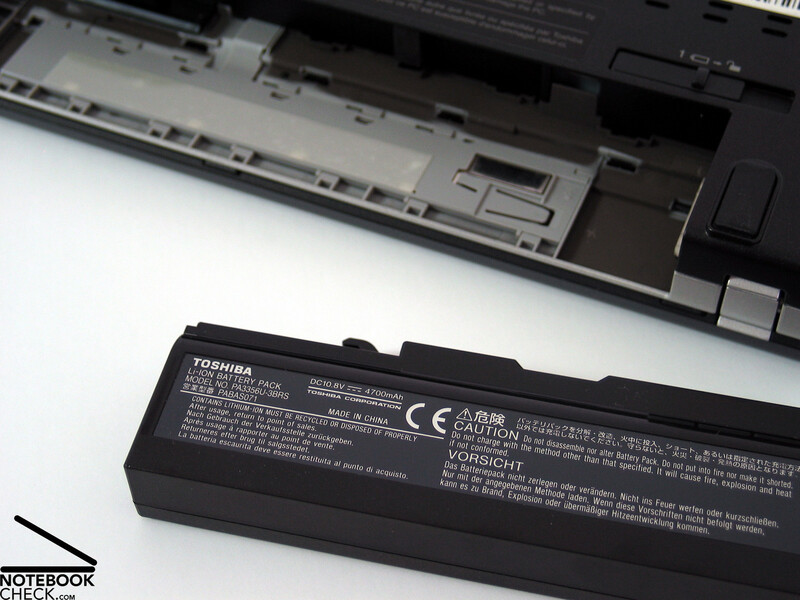 The battery runtime can be called good or sufficient. It is realistically between 2 to 4 hours, depending on the kind of application. In total the U200-196 is a nearly completely top subnotebook. ...and the low surface temperatures. 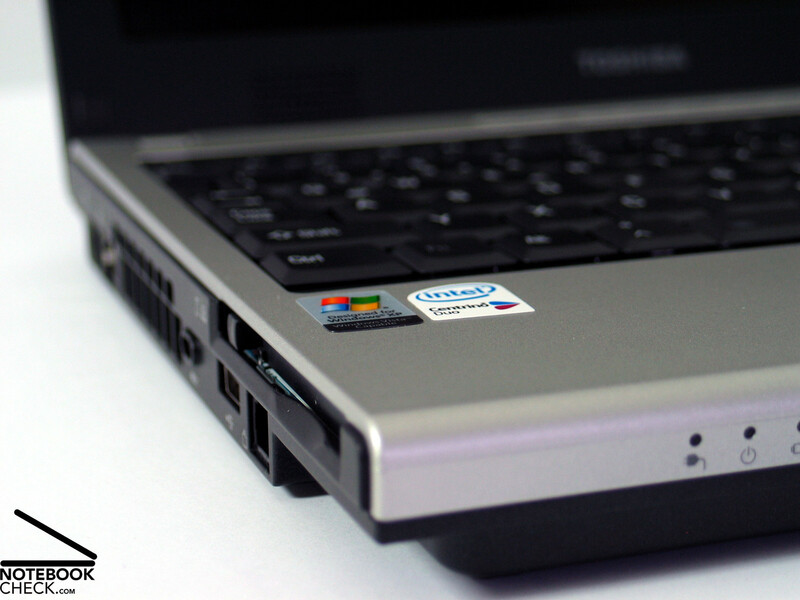 Equipped with a Core 2 Duo processor the notebook has a guaranteed future. ...however, the contrast ratio and the vertical area of operation are only moderate. The keyboard could not completely convince us. ...only both audio ports and the Firewire port are on its front side. ...and a best protected hard disk. 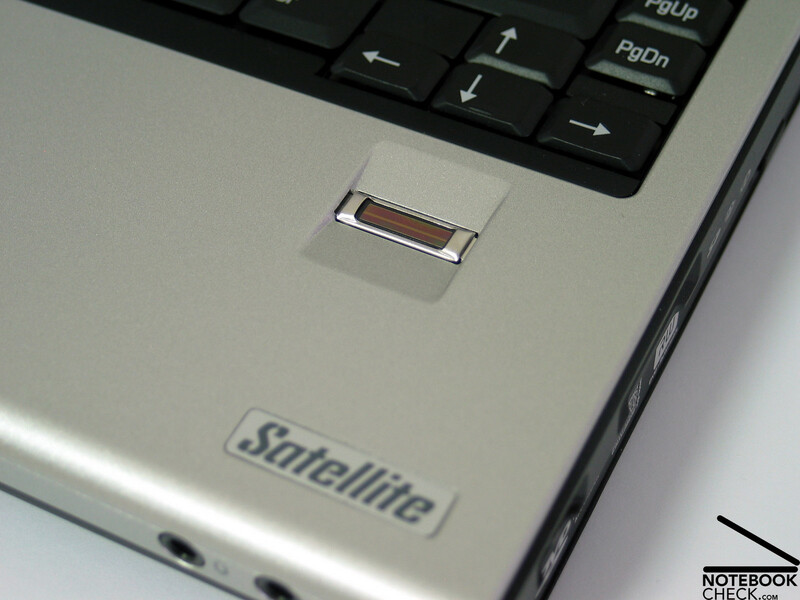 ...is the smallest notebook of the Satellite series. The battery runtime is between 2-4,5 hours.